Phoenix-based Arizona Technology Council member and sponsor, Avnet has named Kevin Summers as its new Chief Information Officer who will oversee the company’s global IT strategy and enterprise effectiveness initiative. Summers has extensive experience in leading large-scale IT organizations, serving in CIO positions with H&R Block, Lowe’s, Whirlpool, and The Coca-Cola Company, as well as senior executive positions at AT&T and GE. He succeeds Steve Phillips, former Senior VP and CIO, who came to the company in 2005 when it acquired Memec. 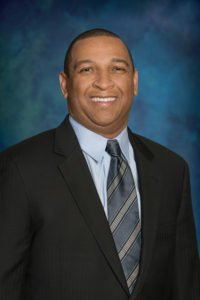 Phillips is Board Chairman of Wick Communications and member of the CIO Hall of Fame, as well as Emeritus Director and past Board Chairman of the Arizona Technology Council. Farnell, where he will be responsible for the strategic direction, day-to-day operations and performance of the company. In October, Avnet completed acquisition of Premier Farnell, a global distributor of electronic components that provides innovators and engineers with products, services and development software.